CITED, King’s College London’s joint venture with Teachers College, Columbia University, will be holding its first summer workshop on teacher education research for advanced doctoral students and early career researchers on 14 and 15 June in London. You can see more details and register for it here. We are fortunate to have some outstanding teacher education researchers leading seminars and workshops over the two days: Mariana Souto-Manning (Teachers College), Peter Smagorinsky (University of Georgia), Janet Orchard (University of Bristol), Keith ‘Man of the People’ Turvey (University of Brighton), Chris Harrison and also me from King’s. It promises to be a busy two days and will appeal to anyone who has an interest in researching in the field of teacher education. The theme of this year’s workshop is Equity and Justice and we will be approaching the theme from methodological, theoretical and substantive perspectives. 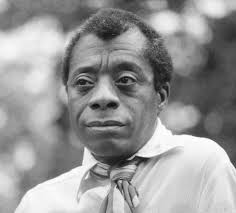 One text we will be asking all participants to read in advance is a short essay by the American writer James Baldwin entitled ‘A Talk to Teachers’. You can download the essay by clicking here. This essay will be the starting point for the opening seminar by Mariana Souto-Manning on the theme of the ‘teacher education debt’ (picking up on another essay by the researcher Gloria Ladson-Billings). If you would like to participate, please register via the link above on the KCL online registration site. If you would like more information – or if you have difficulties finding the fee due to being unwaged or in hardship, email CITED@kcl.ac.uk. We will be making support available for as many of the CITED activities as possible in the years ahead. Prev Transformation: What exactly does it mean? Next Teacher research groups in a Chinese primary school: What if …?